Mom has always been a light. She was the foundation of our family. Dad was bigger than life, gregarious, outgoing. Together they were a force of nature. They loved their lives, and after retirement had enjoyed a fulfilling life blessed with family, and friends, faith and fellowship. I can’t really say I woke up one day and my parents were old. It doesn’t happen that way. You’re busy with your life, raising your kids, going about your work, checking in from time to time. Your parents? Well they’re busy too. My Mom was always so busy you almost had to make an appointment to get on her schedule. My Dad was a community activist and on the golf course most days. It was almost imperceptible at first, their aging. Nothing you can put your finger on. I think initially I noticed a lot of bickering back and forth between Mom and Dad. She complained about him, he complained about her – but the fact of the matter is that things about their lives were changing. They were the first to feel it. As most of us know the situations that we deal with every day, as both professional CSA’s and as children of aging parents, almost always have a progression. I was blind until I was forced to face the issues of aging in my own family. It seems like we are always presented with an EVENT - some type of medical issue, a fall or an illness, before we wake up and realize – “hey these people, these parents who have always taken care of us are not invincible.” We’re challenged as CSA’s to have the vision to counsel families about what may be coming down the road. Herein lies the problem, the unwillingness to read the signs and then act accordingly. Even with all my training I ignored many of the signs with my own Mom because I wanted to hope for the best. Mom wasn’t taking care of herself, she began having falls, and the road signs were coming at us fast and furious. The next 8 months were a blur. Like most families we tried to make the best of an undesirable situation. It wasn’t until I went through this experience in my own family that I realized the magnitude of what we as CSA’s do each day. We are a lifeline for our seniors and their families. Not only are we as professionals a source of information, but we also have the ability to be a source of strength, counsel, and compassion. We are that listening ear that without judgment shines a light to show the way. We are a port in the storm. Mom passed in November 2011. I miss her every day. We still have Dad with us – but again we are heading down the road and are reading the signs. We’ve already passed “BUMPS AHEAD”, and “LOOSE GRAVEL” and are plowing toward “DANGEROUS CURVES”. When asked, “What do you do?” I feel blessed to say, “I work with seniors and their families as a Certified Senior Advisor. “ What higher calling could there be than to walk this difficult path with others shining a light of compassion and a word of counsel? A port in the storm indeed. 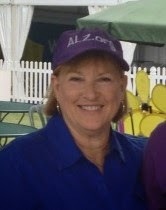 View Cyndi's spotlight in the April 2014 Senior Spirit newsletter. If you're a Certified Senior Advisor interested in being featured as our next CSA Spotlight, contact Erica Ananich at ericaa@csa.us.